Honolulu CC donors and appreciative scholarship recipients enjoyed a lively reception in the Norman W.H. Loui Conference Center on Tuesday, November 21. Guests enjoyed meeting the beneficiaries of their giving and hearing about the impact their gifts are making in the lives of Honolulu CC students and programs. During the program guests heard remarks from Chancellor Erika Lacro, Director of Scholarships from the University of Hawai‘i Foundation Malia Peters, and Architectural, Engineering and CAD student recipient Hoang Huang. A short video was also shown that tells the story of Honolulu CC Donor Barabra short video was also shown that told the story of Barbara Arthurs on why she gives. Guests were moved to tears by the genuine stories shared that evening. Architectural, Engineering and CAD student recipient Hoang Huang. 56 students received scholarship awards totaling $84,353. 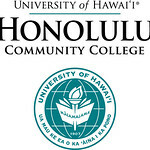 A special mahalo to the University of Hawai‘i Foundation, the Honolulu CC Financial Aid office, the 2016-2017 Selection Committee, and the Communications & External Affairs Office for their coordination of these scholarship awards.